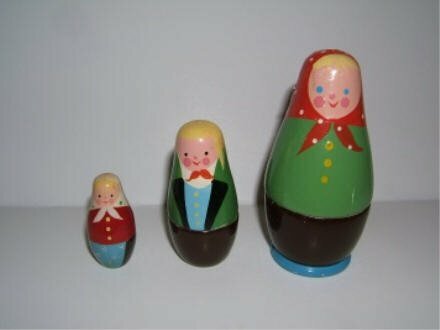 These triangular shaped dolls appear to be Polish. The dolls are blond and feature a mother, son and daughter. They are constructed with very thick doll blanks. The tops and bottoms are painted in different colors from the tops. The smallest doll opens but is empty.